This year, BenQ has released a pair of full 3D 1080p projectors that are just perfect for home video or home theater. The W1070, reviewed earlier this year, has a conventional 1.3:1 lens and some vertical lens shift. The BenQ W1080ST, on the other hand, has a 1.2:1 short throw lens and no shift. 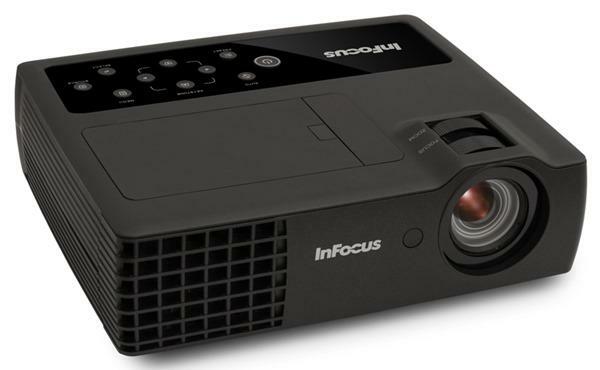 Both projectors offer excellent 1080p video performance, high light output, great color, and an affordable price. The W1080ST is a great projector for home theater or home video on a budget, but its low input lag and short throw lens also make it a good option for video games. If you're a gamer looking for an affordable way into the big screen experience, the W1080ST might just be for you. As a short-throw projector, the W1080ST has a slightly different setup procedure than most conventionally-lensed projectors. As such, they require a different kind of setup and fit in a different sort of room. Here's an example. The BenQ W1070 would throw a 120" diagonal image, which is a perfectly reasonable size of image for that projector, from 10' to 13' 1" depending on zoom. The W1080ST will throw the same sized image from 6' to 7' 3". In other words, the W1080ST requires about half the throw distance of its conventionally-lensed sibling, making it ideal for tight spaces and small rooms. We set up our W1080ST on a coffee table, but quickly discovered that the projector has almost no upward throw angle offset. The bottom edge of the image is more or less level with the centerline of the lens. As a result, a coffee table placement may be too low for some people, largely depending on the height of the table in question. If you own a particularly low table, consider a ceiling mount, which will place the image higher up on your wall and make your audience more comfortable. Ceiling mounts require more work than coffee table placement, but modern ceiling mounts are not especially difficult to install. Just be sure to measure all distances several times before you start drilling holes. A word about screens. Our testing environment uses a 1.0 gain Stewart Studiotek 100, but with a projector like the W1080ST a 1.3 to 1.5 gain screen would be closer to ideal. A slight amount of positive gain will reflect more light back towards the audience and result in less scatter. When a projector throws its image at such an extreme angle, like the W1080ST, a little bit of screen gain helps to keep the image looking bright and even. That said, don't go too heavy on the gain or you'll end up with hot-spotting. As for the picture, it is very clear clear that the W1080ST isn't just a repurposed business projector. The picture is bright, high in contrast, and full of well-saturated, accurate color. The projector is razor sharp across the entire image, though this depends heavily on proper setup -- if you're seeing blurriness in the corners, try fiddling with the projector's position until it goes away. 3D is likewise clean and clear, with no noticeable crosstalk or flicker when watching our test clips. I have two questions: 1. Aren't the viewer's eyes supposed to be at the center of the screen (which means that the bottom of the screen is much lower for larger images)? 2. Since the 1080st has about the same output as the 1070 then doesn't that imply that the 1080st is much brighter (lamberts) for an image the same size of the 1070 because it will be closer? I have three more questions about the 1080st: I was told I was incorrect when I stated that DLP devices use wobulation instead of a physical 1:1 mapping for HD. Does the 1080st / 1070 use wobulation? 2. You state the color wheel speed as 6x. But isn't that speed for 2D? Does not that mean that the effective speed is 3x in 3D (for each eye)? 1. The viewer's eyes do not have to be at the center of the screen. While you might prefer to have the viewer's eyes fall at the center of the screen, there is no canonically "correct" position. In my own theater, the viewer's eyes fall level with the bottom third of the screen, more or less, and everyone who has watched a movie there has found it perfectly comfortable. 2. No. Brightness is measured at the screen, so the W1070 and W1080ST's brightness readings indicate that the two projectors will appear to be about the same brightness. 3. 1080p DLP projectors used wobulation in the past, but only because native 1080p DLP chips were so expensive at the time. They no longer use wobulation. Today's 1080p DLP projectors, including the W1070 and W1080ST, have a real 1:1 1920x1080 pixel resolution. 4. Yes, that is correct -- a 6X speed in 2D would be a 3X speed in 3D. However, we've found rainbows to be much less prevalent in 3D than they are in 2D, so wheel speed in this situation is less of a concern. The article says about input lag. "That's fast enough for most gamers and not far from our best-ever measured time, which stands at 17ms (1 frame)." Which projector is the "best-ever"? Was the latency measured or is this a reported value? Is it normal to expect blurred edges with the w1080st when the lens is zoomed-out? When zoomed-in, everything is perfectly sharp on mine. Just a comment here from a projector novice... I installed this projector on the ceiling 6'7" from my 120" (diagonal) screen. WOW it blows me away. Colors are vivid and the image is bright and crystal clear, corner to corner. Total darkness is not required - plenty of light. Thanks to this site for the projection calculator - it worked perfectly for me. The 3D effects are awesome too. I'm a complete novice and this is probably a stupid question but instead of using a ceiling mount if you just tilt the project upwards from a low coffee table will that raise the picture without ruining the quality? Is there any leg at all when playing games with the Benq w1080st? Or do players move precise when moved with controller? I've got one of these projectors ceiling mounted. Good lag response time, good picture, the only thing I've noticed is the darker areas can get washed out in games with lens flare or bloom effects such as battlefield 4 so you can miss people or vehicles hiding in shadows that you would have seen on an LCD screen. can you use a short throw projector from up to 20' from the screen and still have it work properly? Yes, it will work. However--results will vary depending upon your screen size and projector mounting. Use the throw calculator to get a good idea of what to expect. nobody has commented on what the 1080st looks like @ 200 inches. can it do that well? or 150 inches even. anyone got any links to go to to see on youtube maybe? i am asking only from a gamers point of view. like imagine the scope of a game at that size image. awesome comes to mind. How are the black levels on the 1080st? If you only could choose between a 1.1 gain or 1.8 gain for this projector, which one would you choose? I am looking at Elite Screens. is it silent? or noisy? Can we find a projector to install in the ceiling, can be tilted to project both on the table, or on the wall, with a display size at least 200" ? Can the BenQ1080ST be ceiling mounted? Is there a mounting kit that can be ordered? What is the recommended screen size range for the BenQ1080ST with a throw distance of 9 feet?